Toronto-area victim identified as Guang Hua Liu – WHO KILLED THERESA? The victim in the Toronto-area human remains case has been identified as 41-year-old Guang Hua Liu of Scarborough Liu was last seen alive on Aug. 10 and was reported missing by friends the following day. Bizarre and disturbing. The first set of remains were found near Hewick Meadows Park in Mississauga, not far from the Square One shopping mall. The second set of what appear to be human remains were found in a bag near Kennedy Road and BonisAvenue in Scarborough. 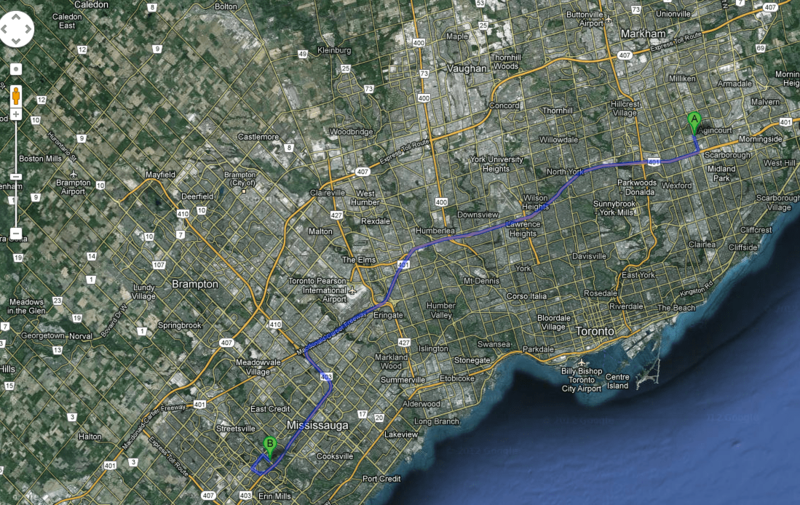 That’s about a 30 minute drive using the 401 and 403. Peel Regional Police say the remains found in Mississauga and Toronto in recent days belong to a single mother who went missing earlier this month. Insp. George Koekkoek named the victim as 41-year-old Guang Hua Liu of Scarborough during a news conference Tuesday afternoon. Koekkoek said Liu was last seen alive on Aug. 10 and was reported missing by friends the following day. Liu, a Canadian citizen of Chinese descent, was a single mother of three. Until recently, Liu was employed as “the owner of a now-defunct spa” on Eglinton Avenue in Scarborough, Koekkoek said. Koekkoek said police have executed search warrants in their investigation. “We are working on suspect information,” he said. The investigation that led to Liu’s identification began when a human foot was found in the Credit River in Mississauga’s Hewick Meadows Park last Wednesday. Further remains were found nearby. On the weekend, Toronto police were alerted to the discovery of remains on back-to-back days in the West Highland Creek. While police had previously said there were “obvious similarities” between the finds in both cities, Koekkoek said Tuesday that police had “forensically linked” the recovered remains. A severed head, a foot and two hands discovered in Mississauga, Ont., last week and human remains found in Toronto on the weekend, are likely from the same victim, police said Monday. Forensic scientists will make the final determination but Peel Regional Police said Monday morning their investigators believe the gruesome discoveries in the nearby cities over the past week are from the same victim. “It is fair to say that … somehow parts of a person’s body have been discovered in two different locations,” said Const. Peter Brandwood. On Saturday and Sunday remains were found in a creek in Toronto’s east end. On Monday Brandwood confirmed those remains are human. “Those remains that were discovered in Toronto have now been confirmed to be identified as human remains. Investigators are convinced that there are obvious similarities between the body parts in our investigation here and the human body parts and the recovery of those human body parts in the Toronto jurisdiction,” he said.